Everyone has an inspirational quote to live by. I remember seeing the above quote during a TV ad some time ago. I was young, and thought nothing of it. Over the years however, it has resonated in me, and has given me motivation to get out of my comfort zone and take action in life. In college I decided to take internships thousands of miles away from my New England hometown (one in Oklahoma, another in Florida). After receiving my Masters Degree in Meteorology, I decided to steer away from forecasting to take a job in climatology and data analysis in North Carolina (also a thousand miles away). 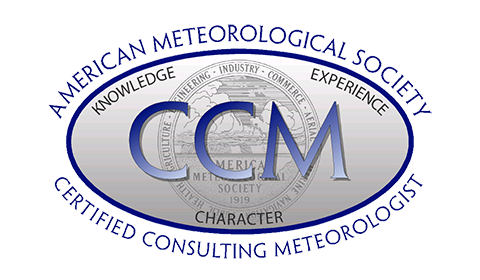 More recently, I worked towards receiving the Certified Consulting Meteorologist (CCM) recognition from the American Meteorological Society. It’s nice telling colleagues about the certification, but it means nothing if I don’t do anything about it. 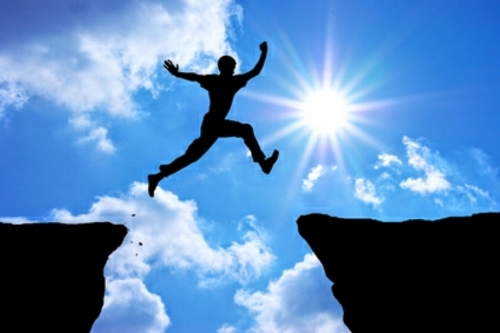 That’s why I recently started my consulting business, knowing it would be a huge risk. “Better Know a City Climatology” - A recurring series depicting climatological information for certain parts of the United States (and the world). “Alphabet Soup” - Another recurring series breaking down all the different datasets the weather, water, and climate enterprise has to offer. Form GOES to ASOS to NEXRAD, we will take a deep dive into the data. Looking back at historical weather events, from the more recent to centuries ago. Interesting and innovative ways to display meteorological data that tells a unique story. Yes, this is another weather blog to be added into the vast internet of things, but I am willing to take that risk. There’s another quote I remember from the first day of health class in 6th grade, that inspires me to take action and try something new.